Please Note: Starting January 22, 2019, Chesterfield Township Municipal Court will be merging with the Bordentown Township Court. 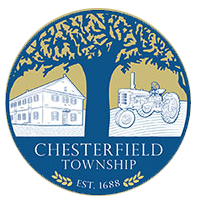 All fines and payments are to be written out to Chesterfield Twp. Municipal Court and sent to 1 Municipal Drive, Bordentown, NJ 08505. All Court Sessions and Court Business are handled at the Bordentown Township Municipal Building.